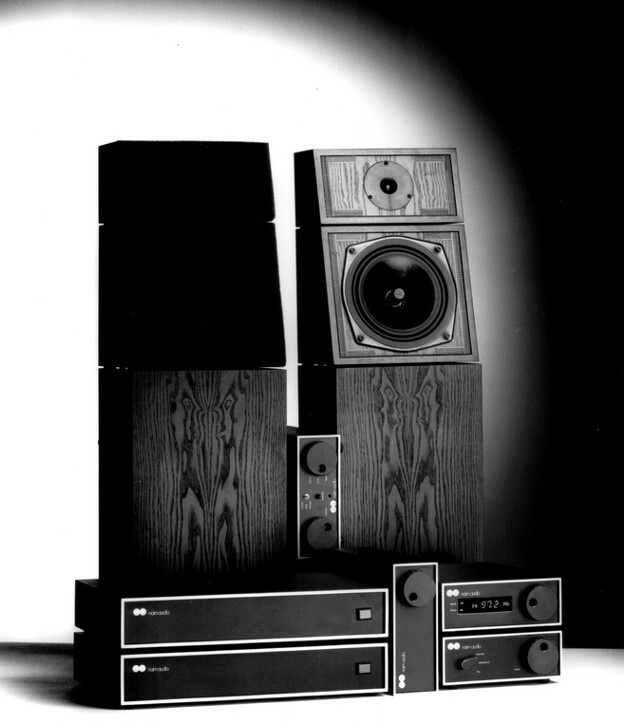 Naim are a brand with a long history of innovation, inspiration and sheer dogged-determination. You can’t help but admire a brand that will joyfully roll up their sleeves and give pretty much anything (hi-fi related, of course) a very good try. And in the case of Naim, they almost always come up trumps. But when you are willing to try your hand at pretty much everything, it can often lead to a back catalogue of weird and wonderful experimental products that never quite saw the light of day… but not for Naim. From humble beginnings they’ve consistently moved from strength to strength, and since their merger with the French company Focal – another of our favourite brands – their future looks very bright and very innovative indeed. So innovative, in fact, that Naim are credited with producing the first high-end versions of several established hi-fi products. 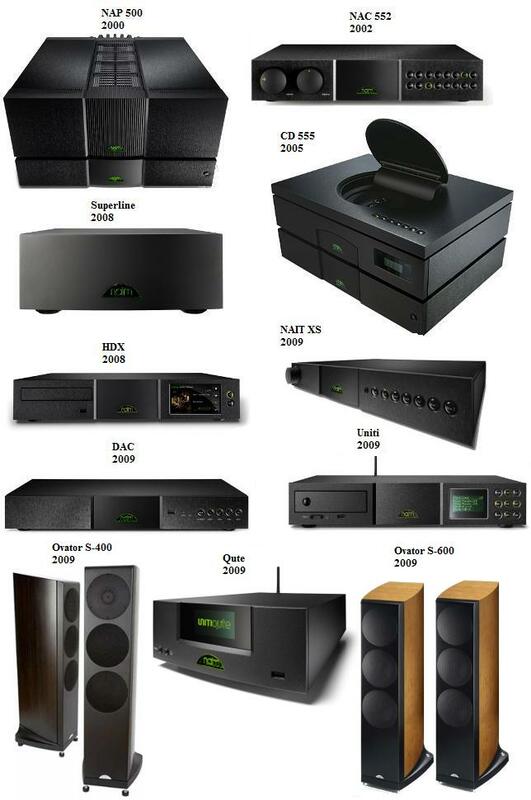 But how much do you know about Naim, their history and their vast range? On the off chance the answer is ‘not very much’ we’ve put our heads together with them to bring you their history, as well as some information about some of their most significant products to date, all of which you can arrange to demo through us. We like to shout about the brands that rise head and shoulders above the others (you may have already guessed) and we’re a proud official Naim dealer, so it’s up to us the furnish you with as much information as we can. 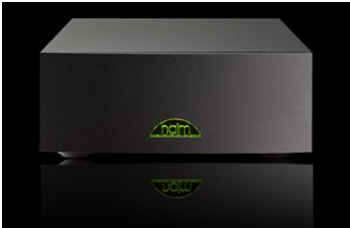 What’s in a Naim? Let’s find out. Once again, it all begins with one rather eccentric man with a vision. Oxford born Julian Vereker was the man this time around, with a rare collaboration of passion and skill that needed channelling. His first love was motorsports and motorcars, he built his first car in his teens and went on to race competitively as a younger man, before retiring a two-time champion to focus on the next passion on his list: film-making! 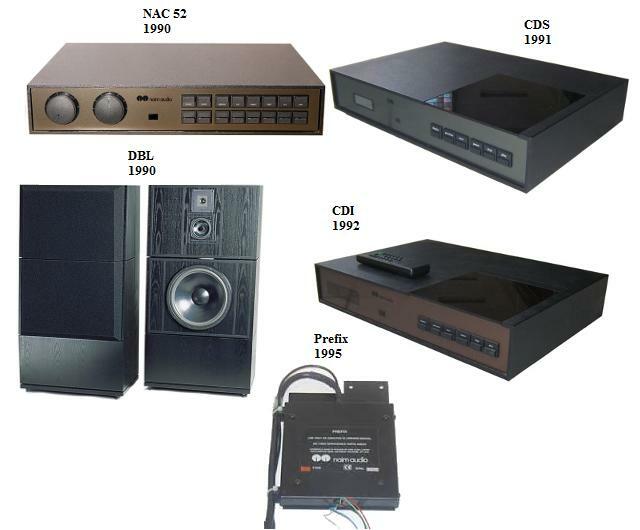 A growing interest in sound and light lead to the formation of Naim Audio Visual in 1969, and a keen interest in the recording of music slowly developed. Why ‘Naim’? Naim is a Hebrew boy’s name which translates to ‘sweetness’ and ‘delight’. The reason Naim was chosen as the name is unclear, but we’d be willing to wager its Hebrew meaning may have something to do with it. Vereker enjoyed live music and experimented with recording live performances – but found them to be of distressingly poor quality. he built a mixer – which proved very successful and was sold to studios around the world…. 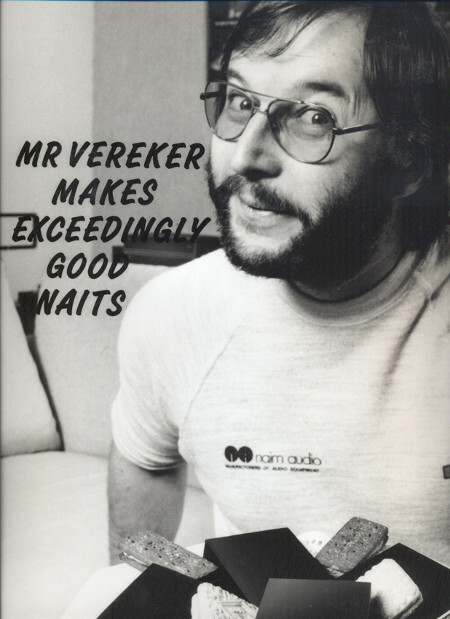 but it still didn’t reflect the true sound of the live recording that Vereker was after. After experimenting with speakers (including ones he built himself) and amps he realised that half of the problem was manufacturers deliberately adding colouration to create a ‘signature’, ultimately tainting the quality of the music. He decided to put a stop to this and design his own amplifiers, to remove that colouration and get to the sound in its most natural, pure form. 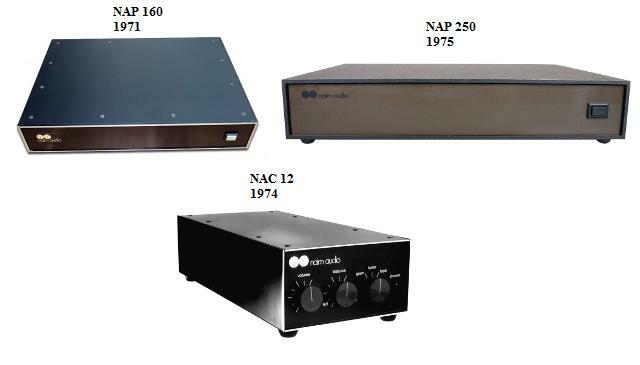 The first of Verekers designed and manufactured power amplifiers – the NAP 160 – was released in 1971, and sold so well he decided to establish Naim Audio Ltd in 1973, a company dedicated to high fidelity sound reproduction, in its many forms and formats. 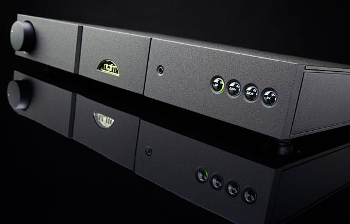 The first decade of Naim’s production of hi-gear saw the release of three amplifiers which enjoyed a very long shelf life. It also saw the introduction of a pre-amp power supply – the NAPS – in 1975, as well as a brand new electronic crossover for active loudspeakers. 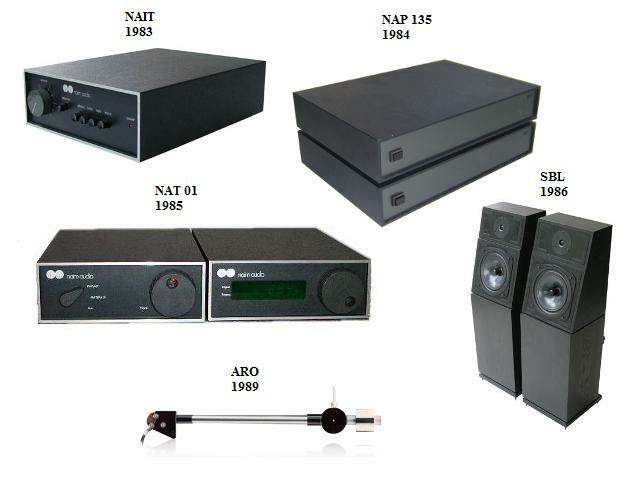 The 1980’s was a big decade for the Naim company. They moved to their new – and current – premises in Salisbury in 1980 and scooped up the coveted Queen’s Award for Export Achievement in 1985 – a high honour for such a young company. It also saw the introduction of the Hi-cap – another pre-amp power supply and a high end speaker cable called the NAC A4. The 90s also saw the introduction of the Super-Cap power supply- which is still in use today, even by us! It also saw a slight return to their AV roots with the introduction of the AV1 – their first AV processor. It also featured a nod to the world of turntables, with the release of a power supply made just for Linn’s Sondek LP12: Armageddon! With the new millennium came a whole new look (so good it stuck!) and a whole new approach with the 5 series and the dawn of the digital revolution. 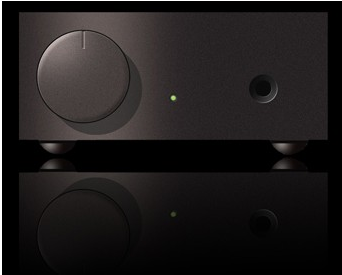 By 2011, Naim had merged with Focal, paving the way for the next wave of innovations to begin. It also saw their second Queen’s Award – this time for Enterprise. As we mentioned before, Naim is a brand of plenty: so much so, we can’t go into details of each product we currently supply. So here is a small selection of some of our favourites, including the set up in our demo room – which you’re always welcome to visit. 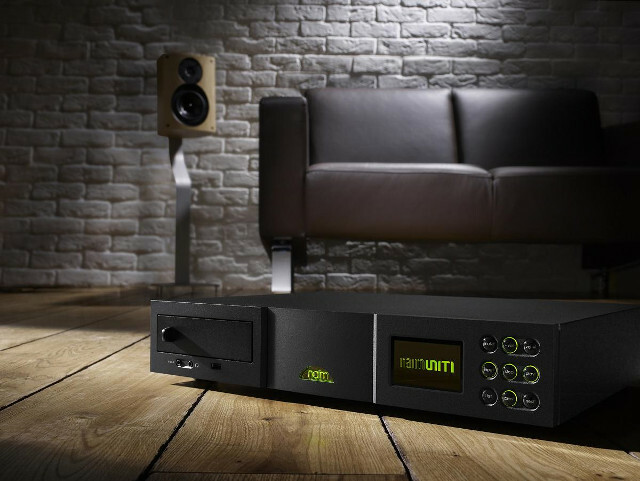 Improving on the award winning CD5x wasn’t easy, but Naim’s talent for innovation and perspective through scrutiny eventually gave birth to the refined and class-leading Naim CD5 XS. New innovations include a transformer-coupled digital output that provides the choice of digital or analogue signal output and the critical analogue circuitry updated. The result is a CD player which successful extracts even more music from each DC than its predecessor, allowing for bright and vibrant music, bursting with detail. Tiny – but powerful! Measuring just 20cm in width, this compact power amp houses class Naim power-amp engineering, scaled down in size but not in power, volume or detail. This means it provides the same dynamic sound without taking up any more space than it has to. It was about time that an amplification-specialist such as Naim produced something for the headphone’s market – and they finally did! Designed for high end and high impedence headphones such as the Sennheiser HD650, Sennheiser HD700, Sennheiser HD800, Grado PS500, Grado GS1000i and similar. Naim put their scrutiny to the test when they developed Headline, producing an amp with incredibly low levels of distortion and very high levels of detail. Ahh,. the Mu-so. We love the Mu-so. Does we need to say anymore? Does it even need an introduction? Probably not, but here we go anyway: freshly designed from the gorund up, the first Naim wireless speaker has blown pretty much all competition out of the water. Featuring Internet Radio, AirPlay, aptX Bluetooth and UpnP technology, the Mu-so is able to interface with a wide range of wireless devices, and make listening to your music with glorious sound quality a whole lot easier. High-end entry-level amplification, and a vast improvment on the previous incarnation: the 5i. With an improved power supply and refined components, the 5Si is convenient, efficient and hugely effective. As the popularity of the all-in-one systems increased, so did the ranges! Featuring high resolution music streaming from a PC, NAS drive or online music services), CD playback, Bluetooth AptX, internet radio and playback from any other digital audio source – such as an iPod – the UnitiLite remains one of the world’s most sought after digital streamers in the hi-fi realm. Building on the success of the aforementioned award winning HDX, the Uniti Serve is a lean, mean streaming and storage machine. 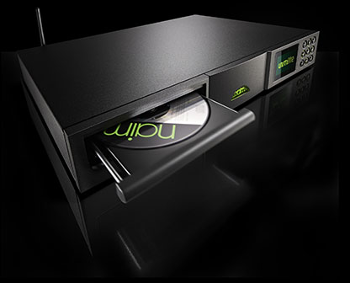 It features a huge internal hard disk drive, Naim bit-perfect ripping of CDs (slot loading), an Ethernet connection, UPnPTM server, StreamNet technology and local digital outputs. It streams as well as it stores, and is one of the most convenient products available in the world of hi-fi. Back on the all-in-ones, Naim decided to improve upon their trail-blazing Uniti with the Uniti 2. Combining an integrated amplifier, a CD player, a DAB/FM tuner, internet radio, a dock, Bluetooth Apt-X Connectivity, Spotify Connect Ready, a DAC and high-resolution 24bit/192kHZ capable network stream player, you’d be amazed at just how sleek and compact a system of this calibre can be. Because we like to find an excuse to show off our high-end set ups – here’s what we have in the Naim section of our demonstration room. 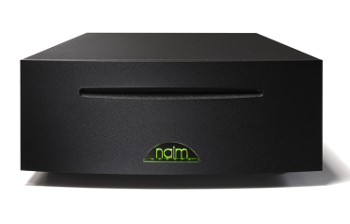 So, what’s in a Naim? The answer is: high-end firsts. 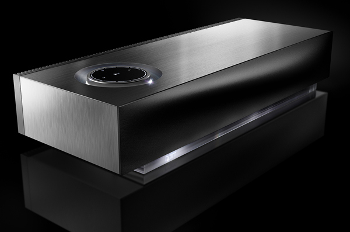 Naim are the masters of these firsts: the first high-end CD player- the CDS. 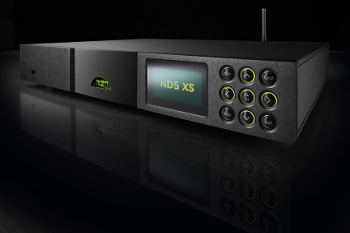 The first high-end hard disk music player – the HDX. 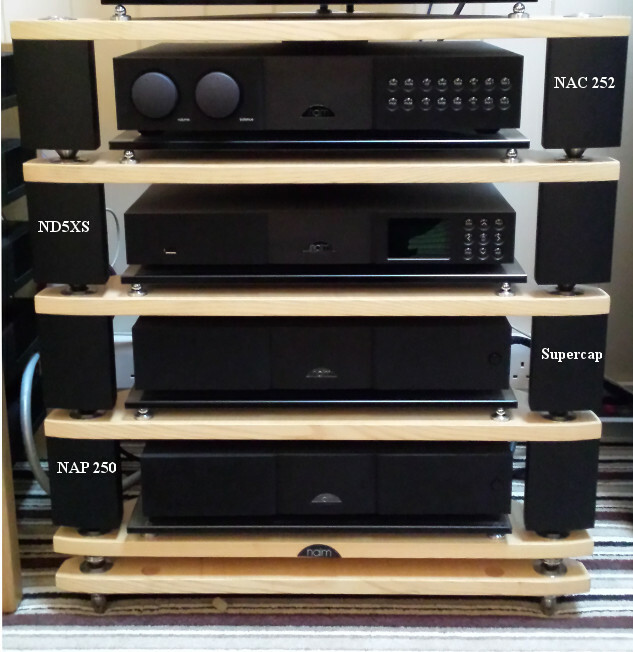 The first high-end BMR speaker – the Ovator and the first performance-upgradable high-end audio streamer – the NDX. And that is why they are one of the first names in hi-fi: they hone, they refine and they improve. And they slide into modern life beautifully, combining lifestyle and hi-fi with an almost unsurpassed ease. What can we say? We’re fans.